10.0 Megapixels for stunning prints as large as 20 x 30 inches. 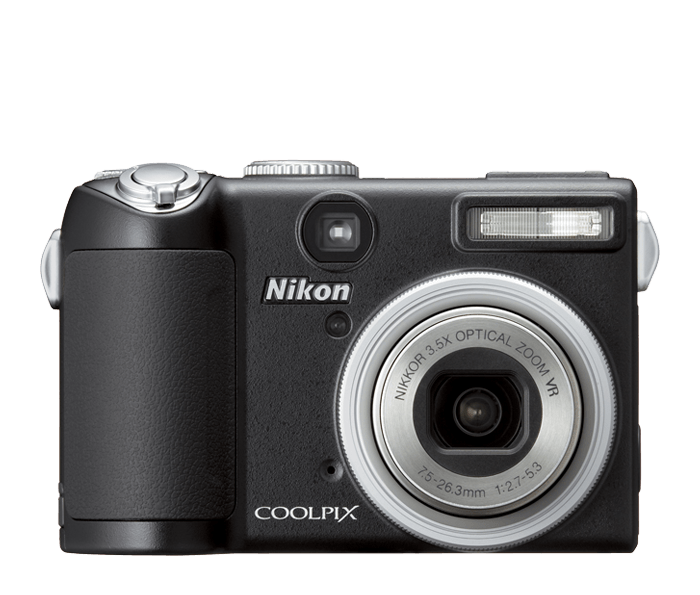 3.5x Optical Zoom-NIKKOR Glass Lens provides exceptional pictures with incredible color and clarity. Incredible, bright 2.5-inch high resolution LCD and Optical Viewfinder makes it easy to compose and share your pictures with friends and family. Program, Aperture, Shutter and Manual exposure modes gives you as much control over your pictures as you want. Auto adjusts up to ISO 3200 (5MP or lower) to keep shooting, even in lower light. Available Telephoto and Wide Angle adapters to expand the camera's capabilities along with your own. Hot Shoe for i-TTL-compatible Nikon Speedlights. In-Camera Red-Eye Fix™automatically fixes most instances of red-eye in the camera. You may never see red-eye again.